Goal: To increase the responsibility & accountability of the local government by organizing Person with Disabilities and establishing their rights through ensuring demand-based services. To ensure Social Rehabilitation of Person with Disabilities (PWDs). 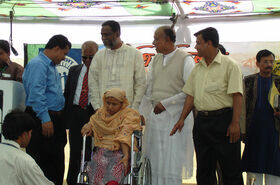 To organize poor people (with PWDs) to enhance their empowerment. 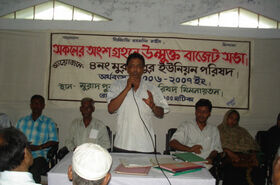 Strengthening Civil Society to enlarge the constituency in favor of poor people. 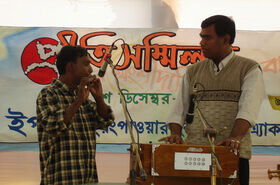 To raise the awareness of the general population on PWDs & their rights’ through a Cultural Campaign. To improve transparency, accountability & responsiveness of the local government with increased capacity among the public representatives – especially UP female members in favor of PWDs. 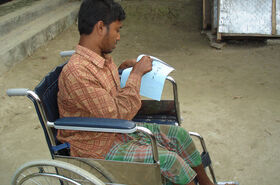 With the assistance of Action Aid Bangladesh, YPSA conducted a house hold survey (1998) depicts that around 17.72 % person with disabilities lives in the Sitakund. 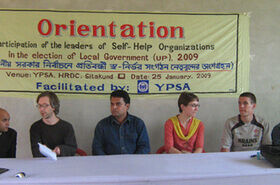 From 1999 YPSA started to operate different community based development programs. 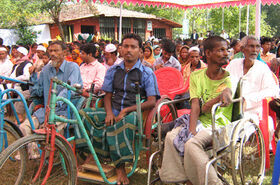 In that time observed that People with disabilities are deprived in the society and they did not claim their rights. Having more findings and community needs from 2001 thematically the issue of disability had been identified and DISC Program started it journey. As Sitakund Upazilla is a place with people with higher rate disability, it was decided to include this vulnerable segment of people with all development initiatives. Cumulative Achievement from the beginning. Advocacy meeting & Workshop/Orientation with Union Parishad to involved the person with disabilities in UP Steering committee. 02 55 03 105 Local Government representative and Government officers are all most same every year meeting and workshop. YPSA believes that every People have equal rights on the society. To ensuring their rights this year’s DISC implement priority based previous year on going some activities and including new following these program: Provide Income Generate Training from YPSA and different institution for their self employment. Support loan for small Entrepreneurship business. Support to admission in the School for 20 Student with disabilities and Support educational materials 850 sponsor children. 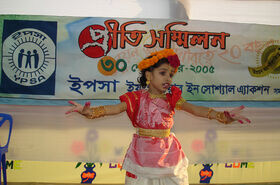 Support to2 girls Club for different initiatives. Support to Person with disabilities representatives & women to be candidate next UP election. Support to Self-Help Org. 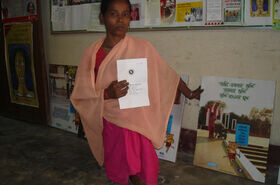 of Person with disabilities for their regular activities (45 SHO’s) and formulate new SHO’s. 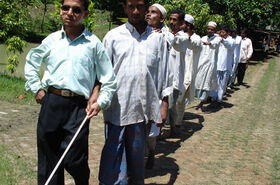 Afford different kinds of 4 orientation and training for increasing disable people leadership. Organize an upazilla convention by the all Self-org members & form a new upazilla committee Give Primary rehabilitation therapy. Support for surgical treatment. REFLECT & Disability Circles implementations. 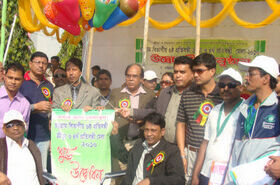 Organize sports & cultural competition for the Person with Disable in upzilla, district & national level. 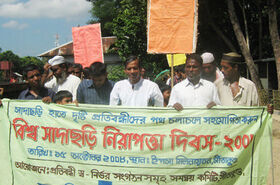 Support to the Sitakund community journalist group. YPSA hopes that without barriers if we implement these activities this year then Person with disabilities is to be committed to ensuring their rights.